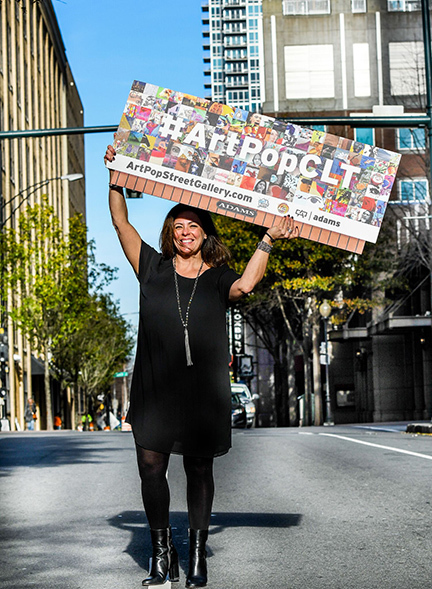 Meet Wendy Hickey, Founder & Executive Director of ArtPop. ArtPop promotes local artists' work through available media space. This program is made possible by generous donations of space from the advertising industry. Local media companies partner with local arts groups to create the ArtPop program. Work is juried, voted on and promoted in the market on available media space to a limited number of artists who are chosen for the program. Each artist receives a value of $30,000-$70,000 in advertising value each year. Recycle it >>> Support it >>> Tote it around! One of my favorite things about ArtPop is how they promote Artists and art awareness in the community. Now they have made it even more fun to be a part of their mission! 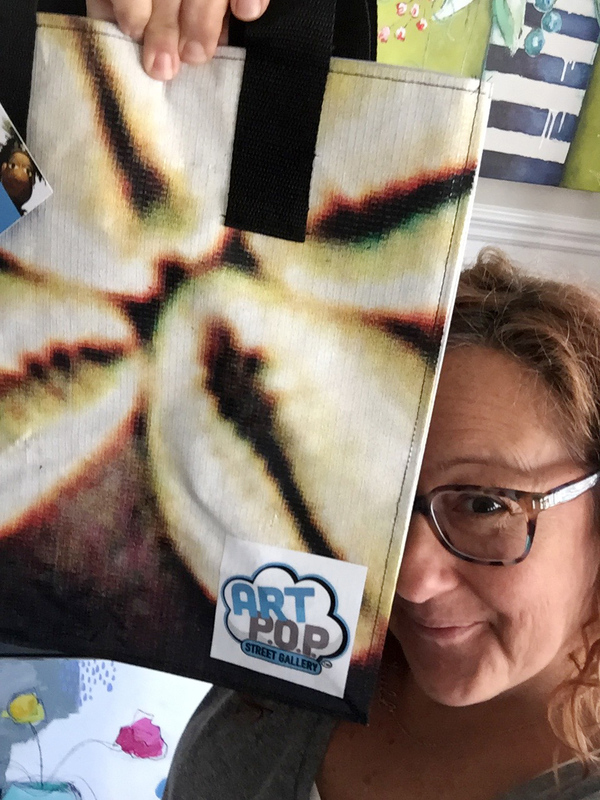 ArtPop is now recycling the large billboard artwork into the most adorable totes and i was lucky enough to meet with Wendy last week and score some of the first ones off of the assembly line! For a donation of only $35 you can be a part of the ArtPop culture and receive one of these recycled totes! 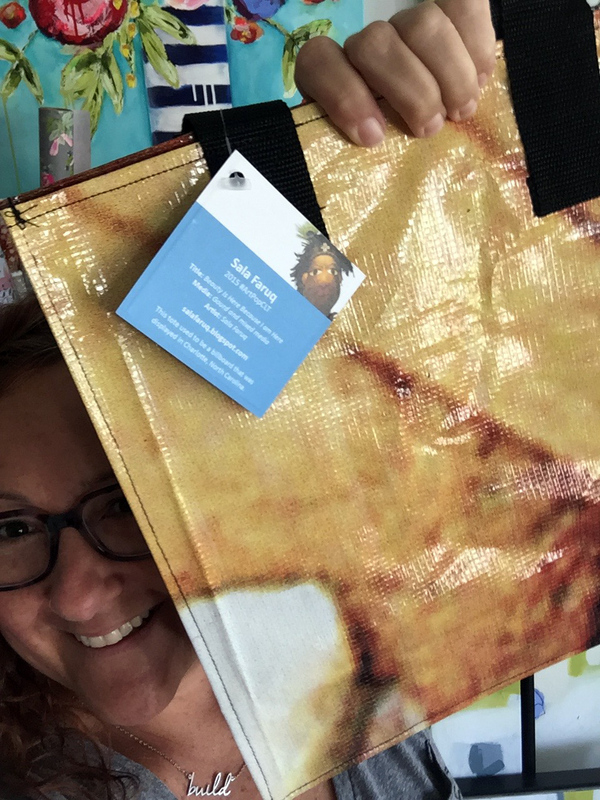 i have only a limited supply of these totes and am hoping to sell out in support of local Artists everywhere! ALL PROCEEDS FROM THE SALE OF THIS BAG GO DIRECTLY TOWARDS FUNDING MORE ARTPOP PROGRAMS. NOTE: all bags will be different and include the artist tag of the original billboard image. The bags i have available were all created from the recycled billboard of artist, Sala Faruq. ArtPop is currently accepting submissions in the greater Charlotte, NC area.Entry deadline is 10/15/2017. HERE is a link for submission! Find the ArtPop program in your city!